The 24-year-old lieutenant Y.G. was taken under custody when the navy ship he had been ordered to serve at was docked at a naval base for bunkering, on June 14. Charged as part of a Bursa-based investigation into the Gulen movement, Y.G. 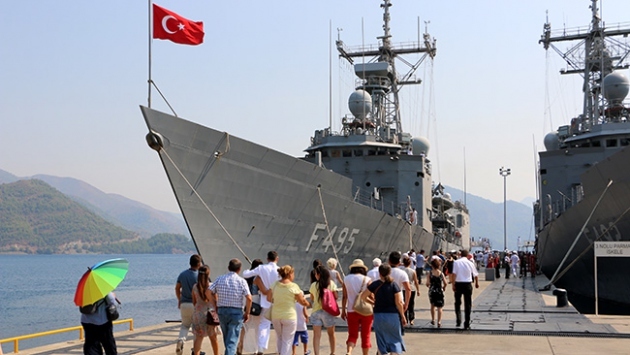 was detained after his ship was docked at Aksaz naval base in Mugla province to get fuel. Mugla police carried out a search on his room at the ship and seized Y.G.’s telephone and computer. Turkey has already detained more than 120,000 people and arrested some 50,000 over links to the Gulen movement, which the government accuses of masterminding the July 15, 2016 coup attempt, since last summer.